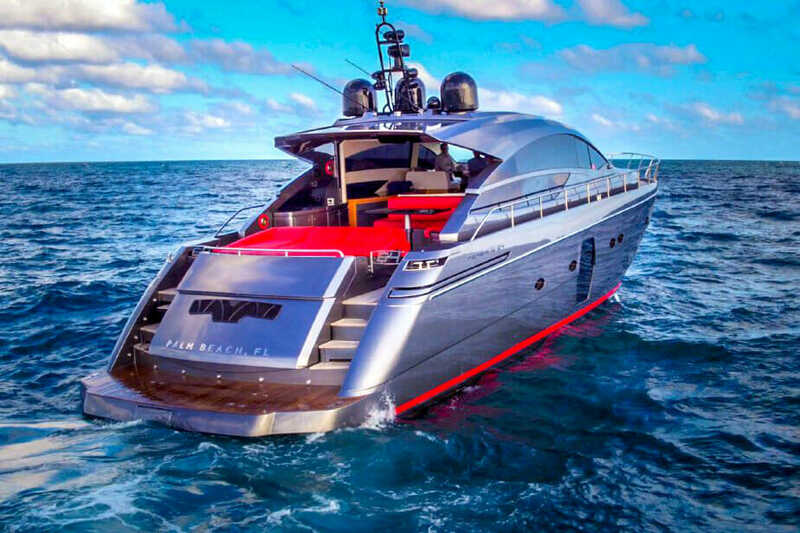 Brand new to the Miami Yacht Charters market this 64 foot luxury sports motor yacht offers the unwavering performance that Pershing is famous for along with the looks to kill. This stunning dark metallic gray model has been completely customized with a new wood sole as well as new furniture. 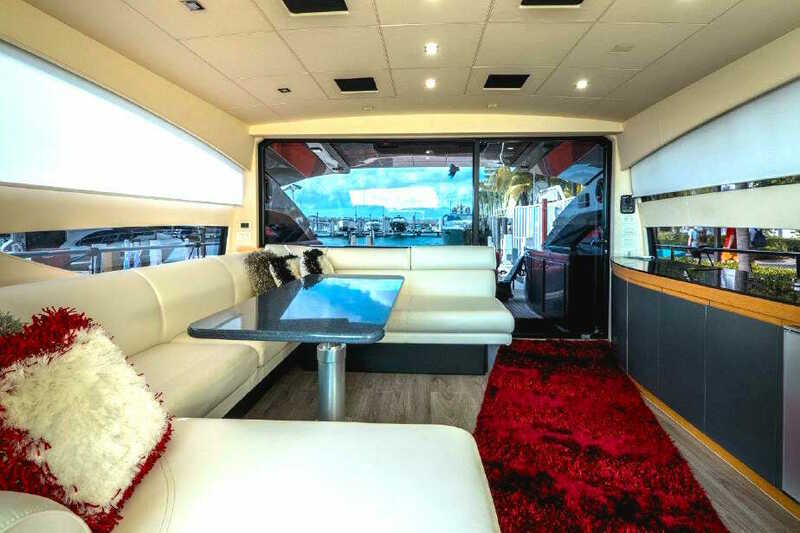 For entertaining she features an impressive 80,000 watt sound system throughout by Waves and Wheels. 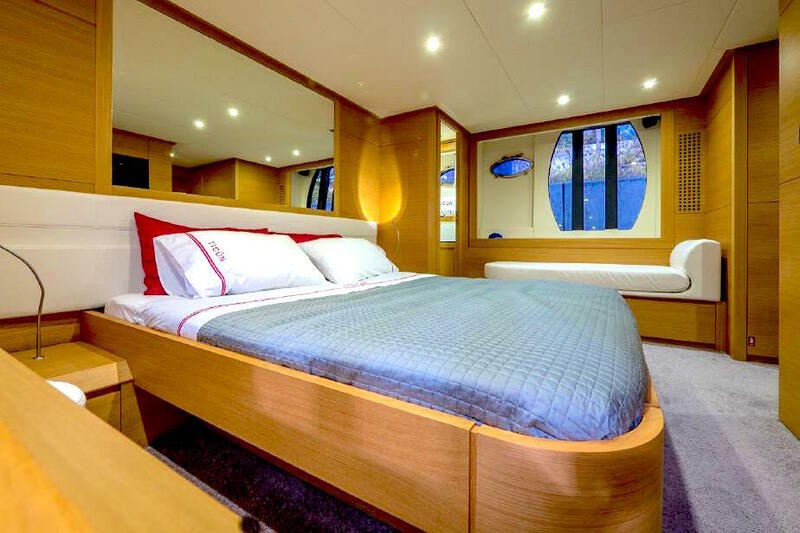 Custom LED lighting system are installed above and below water by Underwater Lights Unlimited. 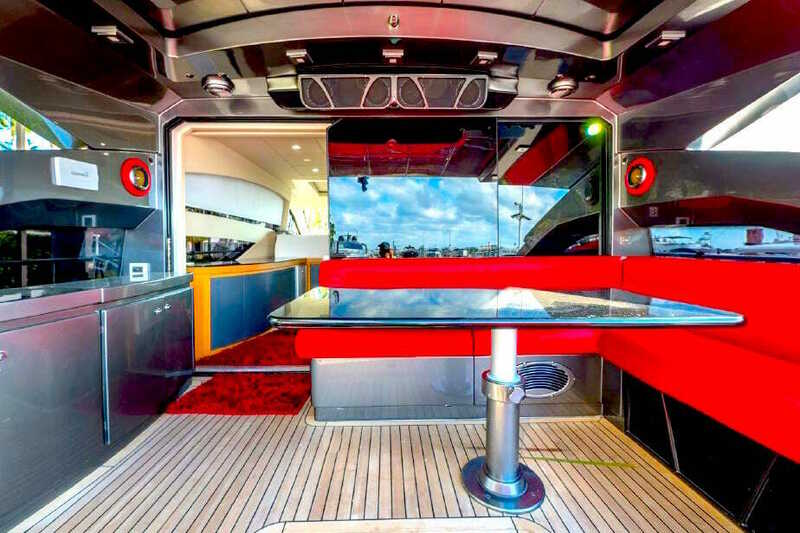 With a press of a button, the sliding-glass door drops down into the deck, opening the cockpit to the salon. 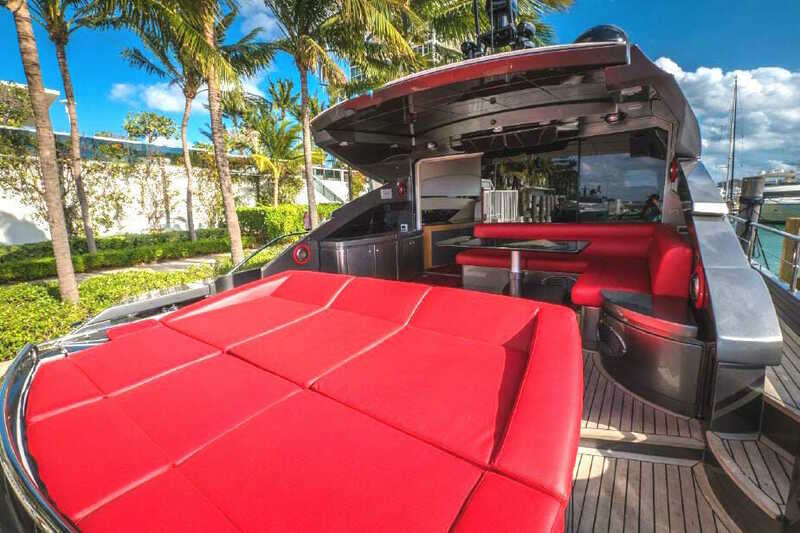 Unique to this vessel as well are the vibrant red exterior sunpads and seating. 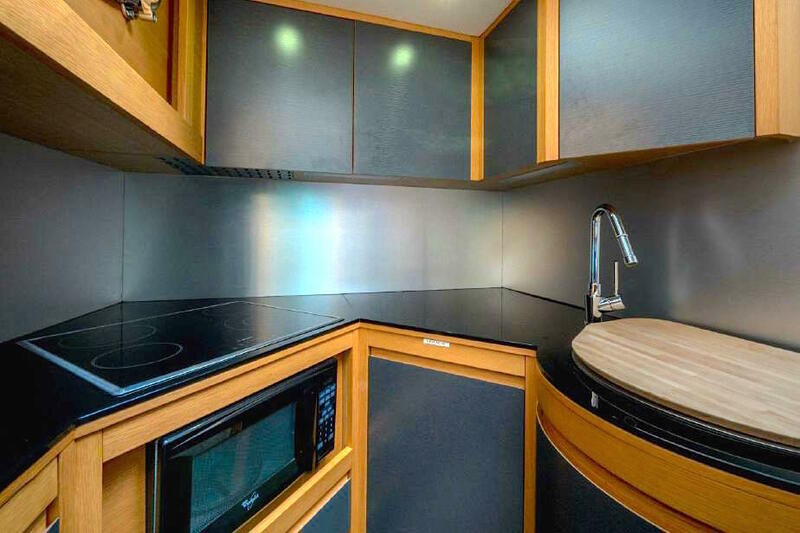 An added bonus is the exterior wet bar that includes a BBQ grill, sink and refrigerator. 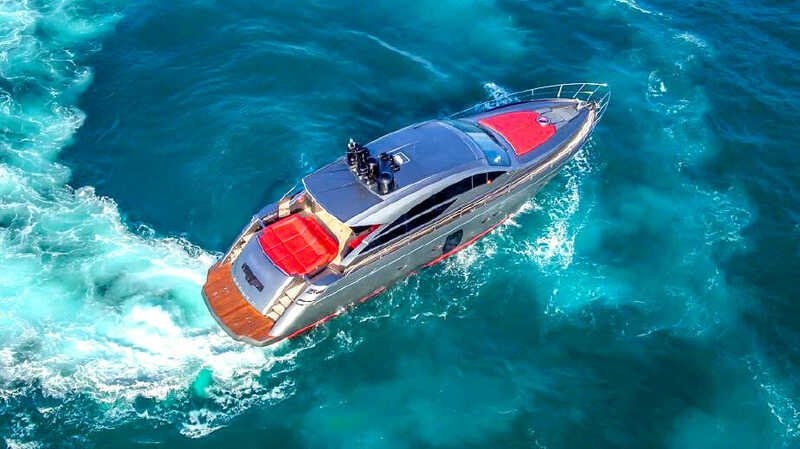 Use her powerful MAN 1550 engines and Arneson drive and take her to the max at 44knots! 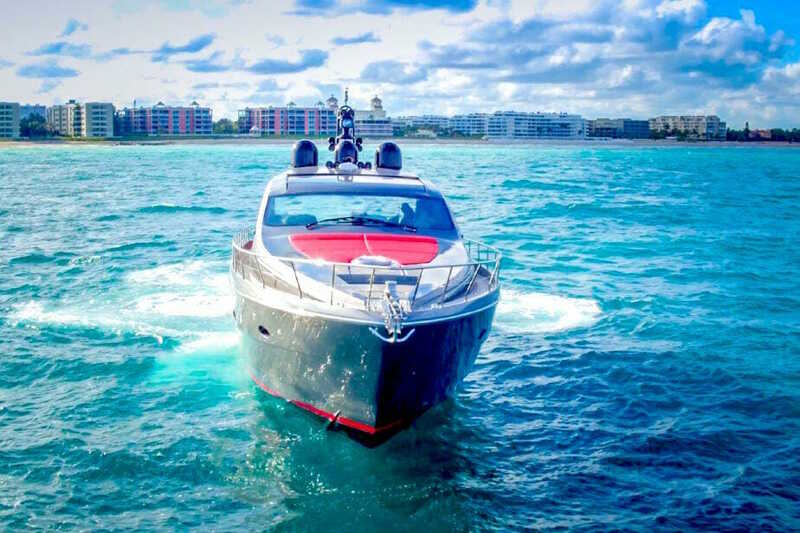 Miami Yacht Charters offers this 64′ Pershing that is the talk of onlookers while you whisk by making her the perfect Miami day charter vessel if you want to stand out of the crowd! 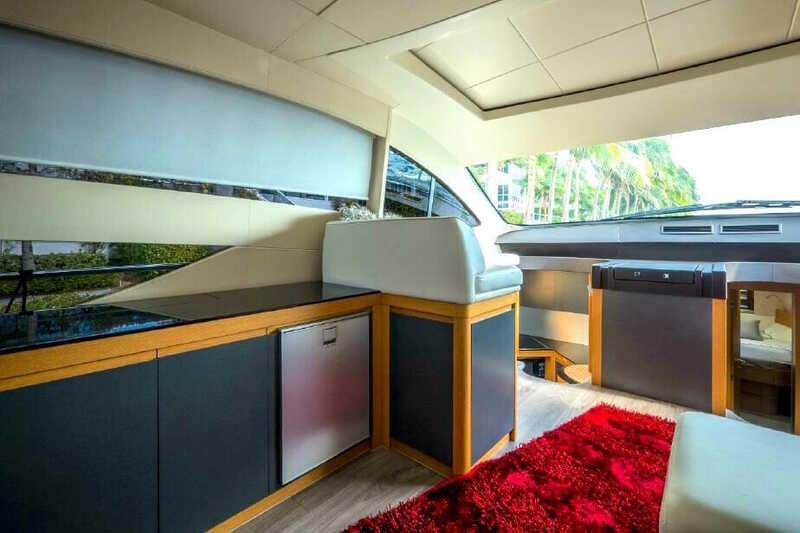 Also comes with a brand new jet tender from Ribjet U.S.A. for Term Charters.